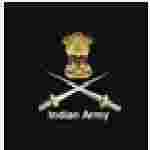 Indian Army recruitment 2016-17 notification apply for 170 vacancies : Join Indian Army welcomes application for the position of married / un – married male candidates and un – married female candidates for grant of short service commission into SSC (T) – 48 men and SSCW (T) – 19 women course commencing in April 2017 at officers training academy (OTA), Chennai, Tamil Nadu. Candidates who completed their Degree in engineering is a good opportunity.The individuals who are the occupation seekers searching for govt employments in India this is the best chance to apply. Competitors read the official notification then read all the guidelines and miners precisely then apply before the last date online application got. All the interested and eligible candidates can apply online before 24th August 2016. Candidates Age Limit: The age of the candidate should not be less than 20 years and should not be more than 27 years. The age of the applicant should be as on 1st April 2017.applicant should born not earlier than 2nd April 1990 and not later than 1st April 1997. (Both dates inclusive). Academic Qualification details: Candidates should have passed engineering degree or are studying in the final year examination course are eligible to apply and should also be from recognized college / university of India. Official website: All the interested and eligible candidates can apply online through official website of Indian Army www.joinindianarmy.nic.in from 27th July 2016 to 24th August 2016. Last date for the submission of online application is 24th August 2016.